You can learn how to make candy the old fashioned way by using Grandma's easy method. As the kids in the above illustration demonstrate, there's really no secret involved in making creamy-smooth, melt-in-your-mouth candy, you need only a bit of know-how and practice. When it comes to the basics of candy making, simply follow the old fashioned candy recipes and carefully tend to the mixture while it cooks. Making delicious homemade candy is not difficult and once learned, you'll never forget how. On this page, you'll find all the know-how you need to get started. First, mix the ingredients in the saucepan before you begin to heat it. Then, stir the mixture over medium heat until all the sugar is dissolved. Be careful not to let the sugar burn and do not let it crystallize in the bottom of the saucepan. Always stir slowly so the sugar mixture doesn't splash onto the sides of the saucepan. If it does, it will crystallize, and any crystals that form on the sides of the saucepan must be wiped off using a cloth or a sponge dampened with cold water. Some cooks prefer using a damp pastry brush, as it will provide a long, safe handle. Never cover the saucepan with a lid, as this will increase the risk of the mixture boiling over, especially if it contains milk or cream. Grandma always recommended greasing the inside rim of the saucepan with a light, one-inch band of butter to help prevent it boiling over — it really does work. Always be ready to reduce the heat if the sugar mixture starts to boil over and never walk away and leave a pot of candy boiling on the stove; it could catch fire! Watch your cooking temperature very closely; it can rise quite quickly sometimes, and when it reaches the hard ball stage, about 248°F (120°C), it can rise quite dramatically. Beginners learning how to make candy sometimes get impatient and try to rush the process by turning up the heat. Resist doing so. It's much better to cook candy slowly at a medium heat, as this will ensure that all the ingredients are thoroughly melted, which makes for smoother results. Once the mixture begins to thicken, frequently check its temperature stage or test it using the cold water test that's described below. Monitor candy temperatures closely when learning how to make candy. When the mixture tests ready, take it off the heat at once and prepare to pour the finished candy onto a buttered tray to cool. If you should happen to boil the candy mixture too much, you can always try adding some water, then simply stir the candy mixture and carefully reheat until it has reached its stage of doneness. Once you make homemade candy a few times, you'll find it easy to identify the various "stages" of doneness. Some cooks can do it by sight, but nothing beats the old fashioned cold water test that Grandma used. I absolutely recommend it for anyone practicing how to make candy. And even if you already know how to make candy, the cold water test is often more accurate and easier than fiddling with a large candy thermometer clipped onto the side of the pot. 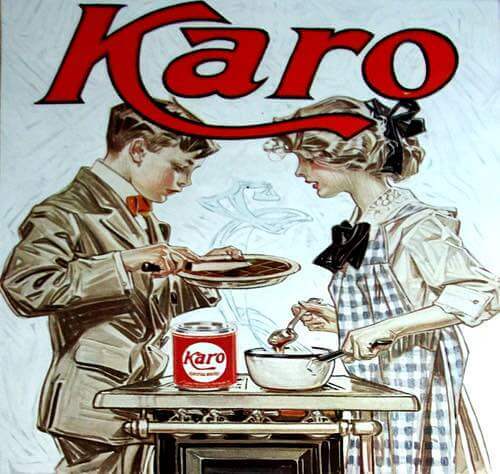 Traditional European candy makers often test the syrup's doneness using their bare hands. It seems that they will first dip their thumb and forefinger deep into ice-cold water for a few moments, then into the boiling syrup, and then back into the ice water. It's done very quickly in one fluid motion while observing the syrup mixture. I recently read that Julia Child, the well-known American cookbook author and television chef, used this traditional barehanded method of testing candy, but I have no inclination to imitate her nor do I recommend you doing so. There's nothing worse than being burned by boiling sugar. Believe me, for I speak from experience! Be safe! Use either the cold water test or a proper candy thermometer. Testing candy for doneness is easy with cold water. Prepare by choosing a cup with a lightly colored interior, as it is easiest to see the syrup against a light background. Fill the cup 3/4 full of ice-cold water. Then, take about 1/2 teaspoonful of hot candy mixture and drop it in the cold water. Watch carefully how the syrup reacts to the cold water. Does it separate or hold its shape? Next, pour out some of the water and gently insert your finger and thumb to feel the syrup's firmness and texture to determine its boiling stage. In seventeenth-century France, the royal confectioners recognized twelve different stages in candying sugar or in cooking it to its proper "height" as they called it. English cooks recognized fewer stages through which sugar passes in candy making, often listing as few as five. To help you, I've compiled nine stages in candy testing so you can better identify the stages of sugar boiling mentioned in the old fashioned candy recipes. With a little practice, you'll soon be able to recognize the candy testing stages by sight and know exactly when the candy is done. Always test; that was Grandma's secret of knowing how to make candy that turns out perfect every time. The mixture can be dropped from a spoon to spin a thin, wispy thread. The hot syrup forms small pearl-like bubbles. According to one seventeenth-century source, "It will stand on a stiffe purle when you drop some of it upon a Plate of silver." The traditional method was to dip a spoon with holes into the hot syrup and immediately strike the side of the spoon on the edge of the saucepan. If bubbles form on the opposite side when you blow through the holes, you have reached the blow stage. The traditional method was to dip a spoon with holes into the hot syrup and shake it to release some of the syrup. If the syrup hangs in thin strings or flies in flakes from the spoon, you have reached the feather stage. A fork can also be used. Drop a small amount of syrup into ice-cold water. You have reached the soft ball stage if you can roll it between your fingers and thumb to form a soft, non-sticky ball that barely holds its shape. The syrup should form a round, flat mass in the bottom of the cup at the beginning of this stage, so if it appears runny and gelatinous it's not ready. Drop a small amount of syrup into ice-cold water. You have reached the hard ball stage if you can roll it between your fingers and thumb to form a moldable but not completely rigid ball. The syrup should solidify or form a standing thread the moment it hits the water. Drop a small amount of syrup into ice-cold water. You have reached the small crack stage if it can be easily pulled and stretched between your fingers. Drop a small amount of syrup into ice-cold water. You have reached the hard crack stage if it breaks easily between your fingers or if it resists being made into a ball. 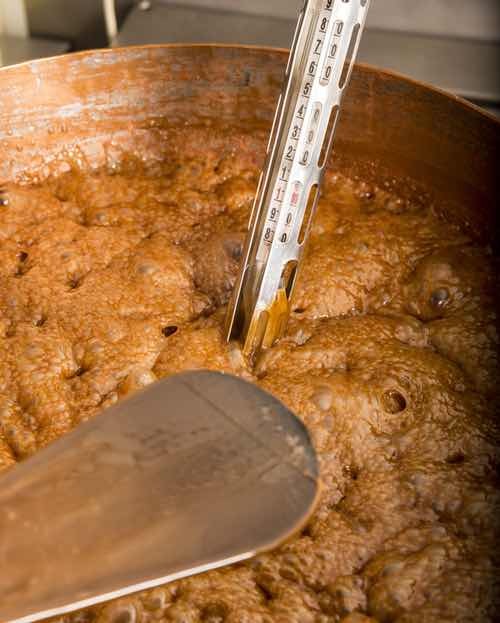 The sugar begins to brown very quickly and soon turns to black and gives off a burnt odor. Sugar will burn beyond this stage. How do you make good candy? Simply by following the old fashioned candy recipes and by applying the practical tips on how to test the syrup in cold water. Do this, and you'll soon be making candy like the pros. Don't be discouraged by your first attempt. Candy making is an art that comes easily with practice. Why not practice by making a plateful now? Soon, you'll be showing others how to make candy at home the old fashioned way.